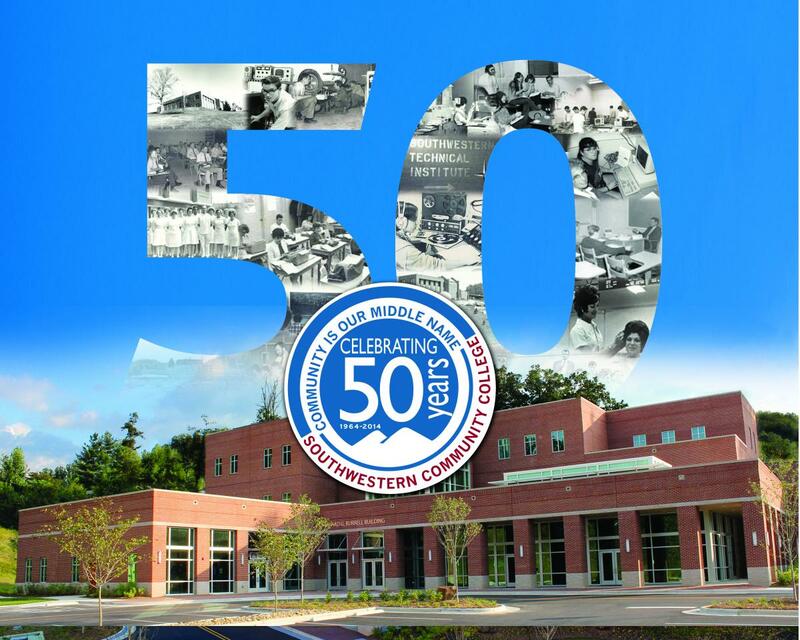 Click image above to view or download "Celebrating 50 Years" - a book reflecting on Southwestern's first half-century. ​Karena Mason of Franklin won the grand prize of a full-year scholarship at Southwestern Community College’s 50th anniversary open house celebration and scholarship scavenger hunt Friday, April 10, 2015, at SCC’s Jackson Campus. Among the roughly 500 people who attended the event, 96 participated in the scavenger hunt. Each participant had to visit three separate program presentations, each at a different building. Upon successfully completing the hunt, participants’ names were placed in a drawing that evening in the Burrell Conference Center. Karena Mason’s parents – LaRessie and Mark Mason – graduated from SCC in the mid-1990s. “This is an answered prayer,” LaRessie Mason said. “The whole idea of being able to win a scholarship was great. But when I heard the faculty and staff gave so much of the money, it made it even more special because it’s from their hearts. Other winners included Taylor Medlin ($1,000 scholarship) of Tuckasegee; William Bateman ($500 scholarship) of Franklin; and Jesica Palacios ($250 scholarship) of Waynesville. Seven gift certificates (three worth $100 each and five worth $50 each) to the SCC bookstore were also awarded. Click above to view a brief documentary reflecting on SCC's first 50 years. All prizes were provided through the donations of SCC faculty and staff with support from the SCC Foundation. Faculty and staff representing a wide variety of SCC’s programs provided demonstrations and answered questions throughout the event, and the Mountain Area Medical Lift (MAMA) helicopter made an appearance. Representatives from each board of commissioners in SCC’s service area (Jackson, Macon and Swain counties) were present to read a joint resolution. N.C. Senator Jim Davis and Webster Mayor Nick Breedlove also read resolutions.